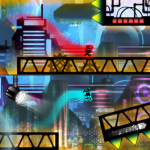 Priced at $9.99 on Steam is an Indie title called Rush Bros. Music games have hit a hiatus recently when it comes to anything really outstanding, but Rush Bros. is looking to fill some of that gap. 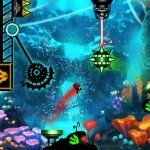 Rush Bros. is a side scrolling, beat-based game by XYLA Entertainment that has some great music. 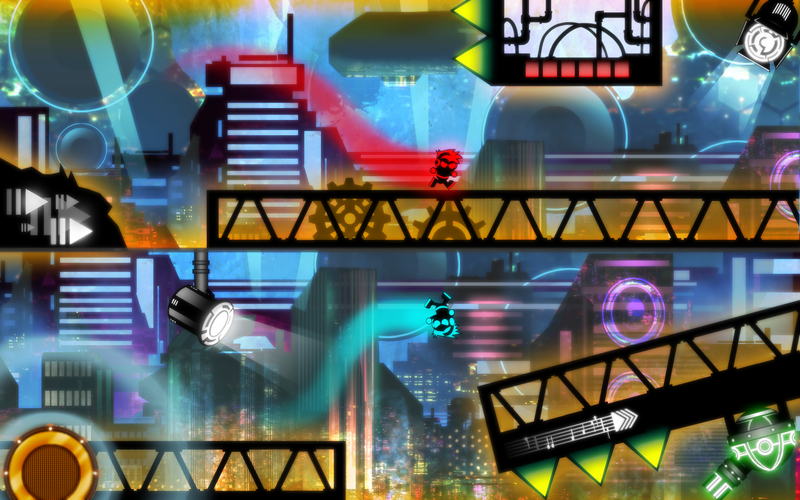 As you progress through the levels, you realize that the objects in the game are reacting to the music as it plays. A good game to compare to this to would be Super Meat Boy, which has very similar side scrolling, jumping around gameplay. There are powerups, obstacles, and a multiplayer mode, which offers additional powerups that can really mess up your friends, which I learned from experience. Multiplayer lets you pick any map and race your friends or randomly matched players in a 1v1 race to the finish. 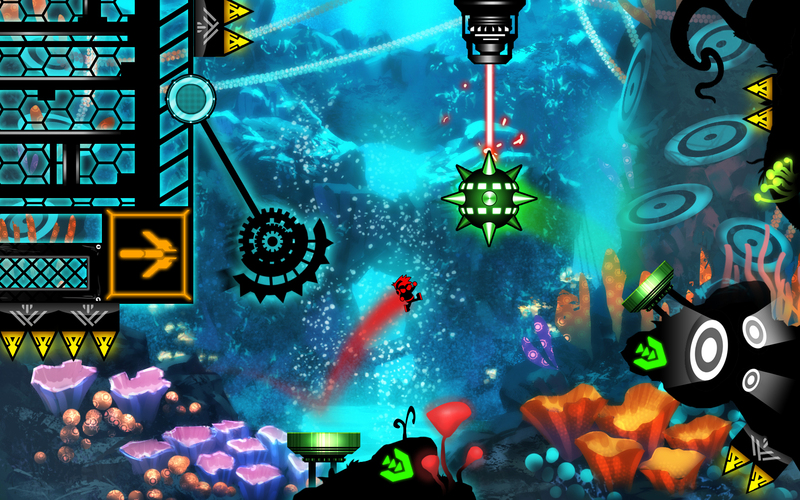 Rush Bros. really does put an emphasis on the music, and in the levels, you will see speakers, which send waves that throw you in any direction, moving obstacles that also dances to the music. Sometimes, you have to hit a button to the beat. You can also use an Xbox 360 controller for Windows, which I would recommended. To really get the full Rush Bros. experience, you really have to play it, and it’s money very well spent.